What exactly does the expression "Wine roads" bring to mind? If the answer is not easy for you, we are going to help. Imagine strolling through a vineyard. You will taste your favorite wines and get to know the people who produce them. You will be astonished to find out that that the taste and aromas harmoniously match with the land, in a way that before leaving the city behind you, you could only imagine. And to become more specific, the Wine roads is a certain travel idea proposed to the contemporary traveler. They suggest selected routes that traverse the most picturesque spots of a viticultural zone Signs indicate the direction towards vineyards and wineries Places of unique natural beauty, archeological sites, churches, monasteries, museums, are also noted. The icon is completed with restaurants, tavernas, hotels and inns, and local gourmet shops stocked with regional culinary specialties. 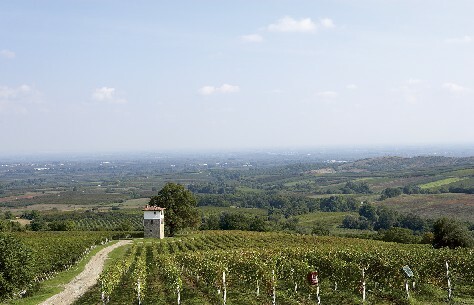 Almost every wine producing country proposes wine roads to visitors. In Greece, the first attempt to propose wine roads to travelers was made by wine producers of Northern Greece under the name Wine Roads of Northern Greece (Wine Producers Association of Northern Greece Vineyard). We can also travel through the Wine Roads of the Peloponnese (Wine Producers Association of the Vineyard of the Peloponnese) and more recently the Wine Roads of Attica (Wine Producers Association of the Vineyard of Attica) and the Wine Roads of Central Greece (Wine Producers Association of the Vineyard of Central Greece).